Product prices and availability are accurate as of 2019-04-22 17:14:46 EDT and are subject to change. Any price and availability information displayed on http://www.amazon.com/ at the time of purchase will apply to the purchase of this product. The 120-volt Wagner 915 power steamer can be used in every room in your home. It uses a pressurized steam system to complete repair or renovation jobs like removing wallpaper and also cleans and sanitizes your home from top to bottom. Use it to clean grills, greasy stovetops, bathroom tile, and more. 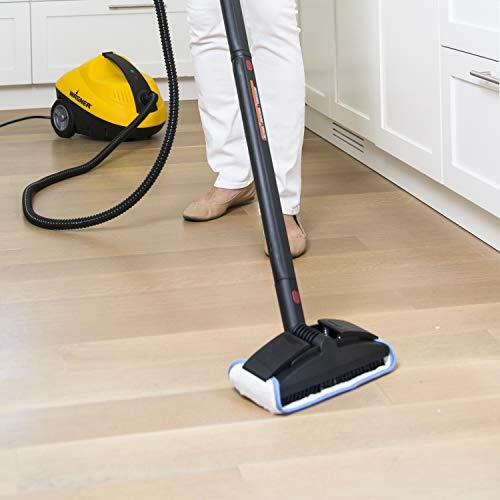 The power steamer works without chemicals, so it's safe and non-toxic and won't leave behind any messy residue. It comes with a variety of accessories, including a window/tile squeegee, floor-cleaning brush and cloth, two extension tubes, measuring cup and fill funnel, and assorted utility brushes. 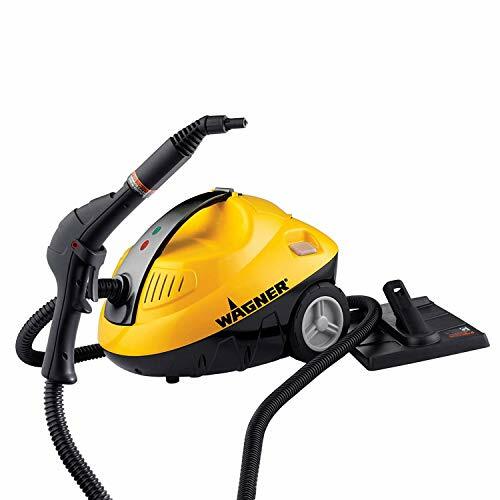 Wagner's 915 power steamer is ideal for multiple applications in and around the home--including cleaning kitchen floors (view larger). 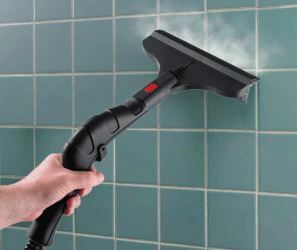 The 120-volt power steamer provides powerful steam that you control with a pull of the power trigger. An illuminated green power light indicates that the steamer is ready to begin steaming; the red light indicates that the heating element is making steam. 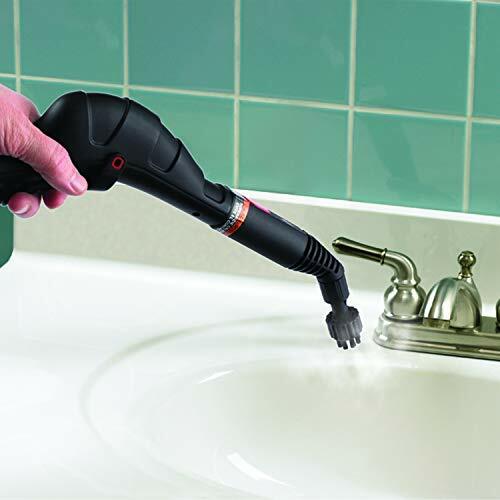 (The red light will come on when the water temperature reaches 135 degrees F.) Two modes of operation release steam continuously or intermittently, so you can match the cleaning or wallpaper removal power to the job at hand. The steamer's wheels move smoothly across all surfaces for easy use. 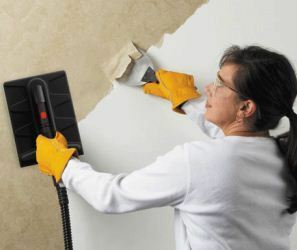 The power steamer uses natural steam to remove wallpaper and clean and sanitize all types of surfaces in your home. It contains no chemicals, so it's safe to use around children and pets, and it won't leave behind greasy chemical residue. Use it to clean sofas, barbeque grills, bathroom fixtures and surfaces, floors, windows, screens, tires and wheels, ATVs, recreatoinal equipment and appliances, and more. 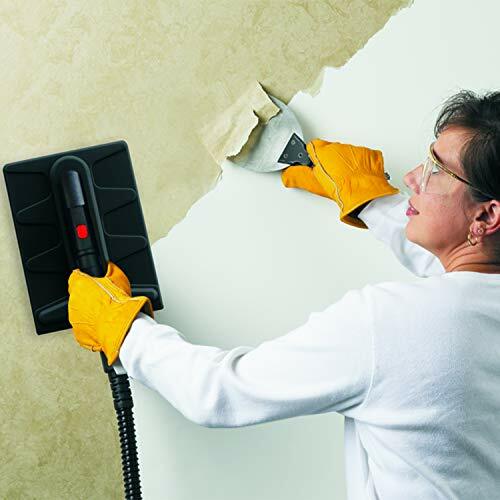 The power steamer removes wallpaper 20 percent faster than non-pressurized steam cleaners, and it provides a deep clean of surfaces in and around your home. Its efficient cleaning action kills bacteria beneath the surface for complete sanitation. The steamer also features a jet nozzle that's great for cleaning mud off tires and grease and dirt off concrete, camping equipment, and lawn furniture. Further adding to efficiency, users can change accessories on the fly by holding each accessory over a bucket and pulling the trigger until steam comes out and water stops flowing. Then the steamer is ready for use with each accessory. 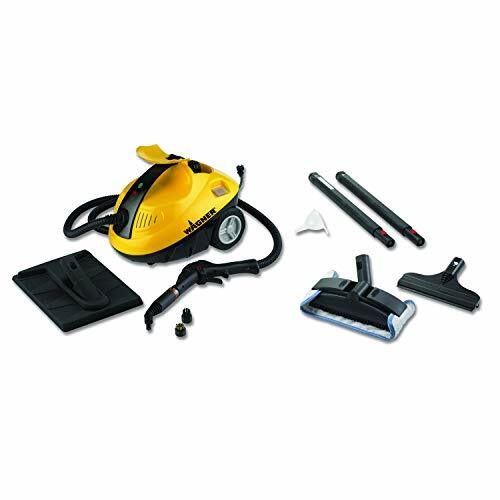 Power steamer, window squeegee, floor-cleaning brush and cloth, two extension tubes, measuring cup and fill funnel, utility brushes, and user manual. 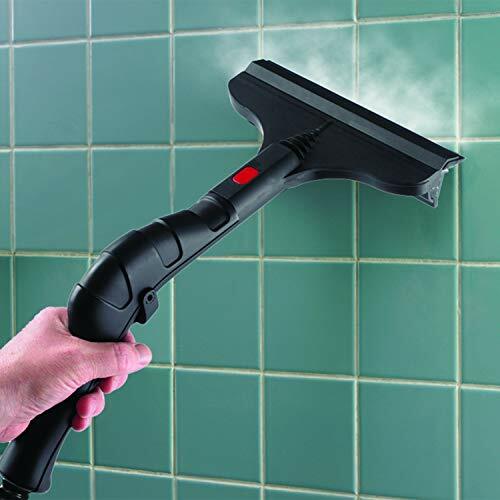 The power steamer is also ideal for cleaning bathroom surfaces such as tile--and it removes wallpaper 20 percent faster than non-pressurized steamers (click each to enlarge).